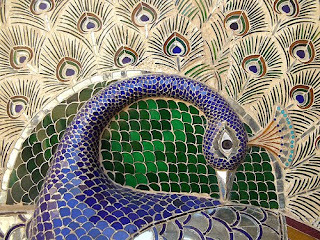 The Indian Blue Peacock with its iridescent blue-green plumage has long provided a decorative motif in art and interiors. 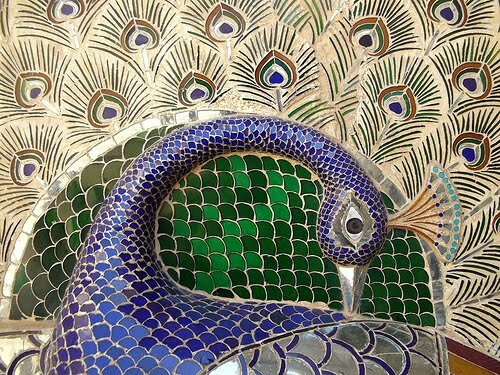 As the national bird of India they were often depicted in architecture. The Mor Chowk (peacock courtyard) is in the City Palace Udaipur built by Maharana Udai Singh in the sixteenth century. The glass tile mosaics were added in the nineteenth century to embellish the”Venice of the East”. 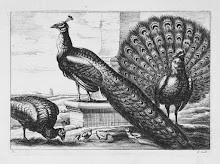 Originally the rarity and beauty of the peacock made them available to only the wealthy in Europe. Perhaps this is why they were so popular as decoration among designers of The Arts and Crafts and Art Nouveau movements. 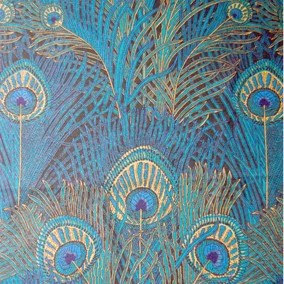 Liberty of London created the exotic “peacock feather” fabric in 1887 using a royal blue cotton ground with shades of green, blue and yellow. 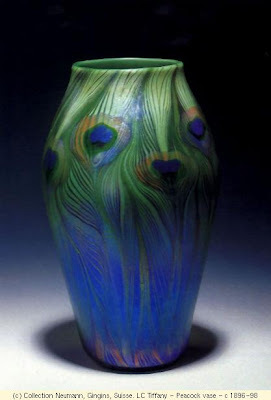 The motif extended to America with Louis Comfort Tiffany's Peacock Vase in 1896.